My husband and I wanted to eat Chilli Chicken Gnocchi for our tea from the Joe Wicks’ Lean in 15 book but I was not happy giving Dex gnocchi as I feel it’s a choking risk. Instead I improvised, and gave him some pasta, a couple of cherry tomatoes quartered, some strips of chicken and these spinach balls. This spinach balls recipe is quick and easy to make with a few store cupboard ingredients. I absolutely adore spinach, its so versatile and a healthy vegetable and I want to make sure that Dexter eats it as much as he can, especially for the iron content. I was sort of making this up as I went along so there are no measurements for ingredients, sorry! I boiled two large handfuls of spinach for a couple of minutes then rinsed it in a colander with cold water. Next, I squeezed out all of the moisture until I was left with a small amount of dry spinach which I chopped. 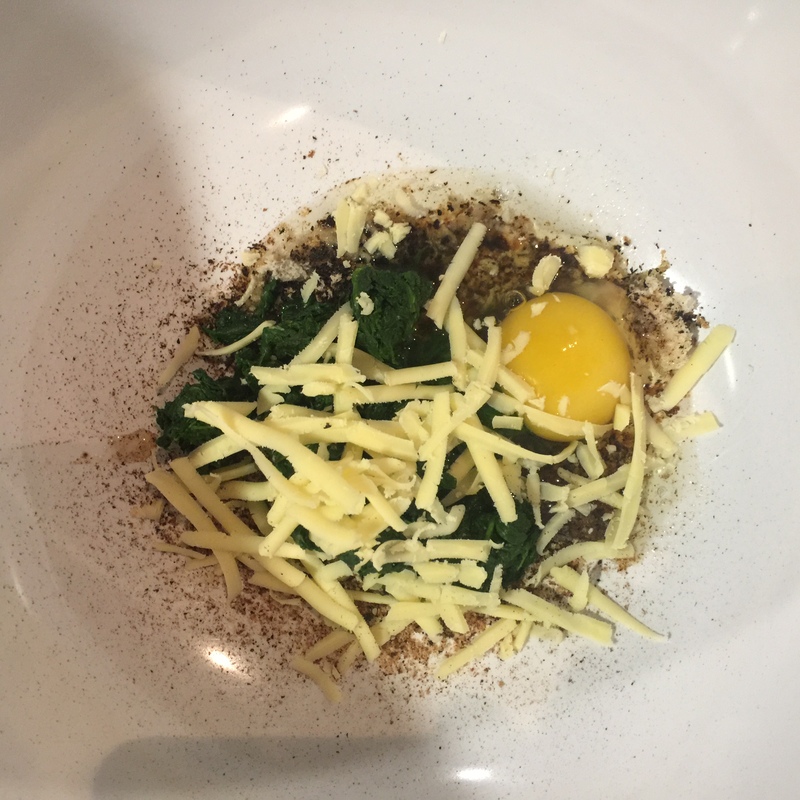 I added breadcrumbs, some grated cheese and an egg and combined it all with a spoon. Then I rolled the mixture into three, meatball sized balls with my hands and popped them in the oven at 180C for fifteen minutes. It’s a good idea to grease the baking tray first or line it with foil or baking paper. I neglected to do this and had to force the balls off the baking tray when they were ready. Not a great start! After they had cooled sufficiently, I offered them alongside the pasta, tomato and chicken. Dex was able to take a few considerable bites and I offered plenty of water in between to wash it all down. They were moist enough for him to be able to chew but also turgid enough for him to be able to pick them up easily. 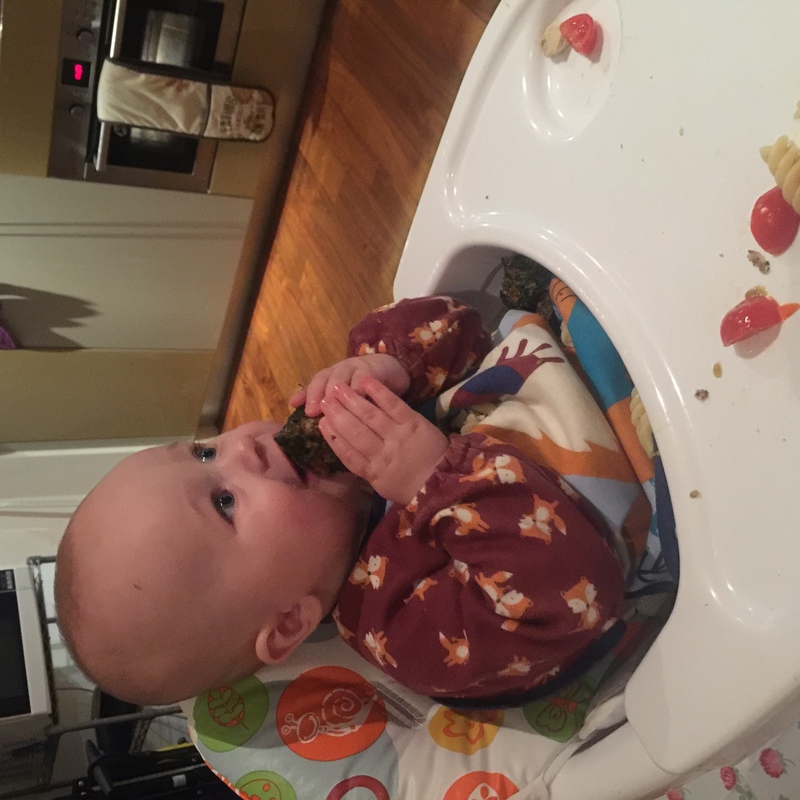 Another baby led weaning success. Let me know if you try it.